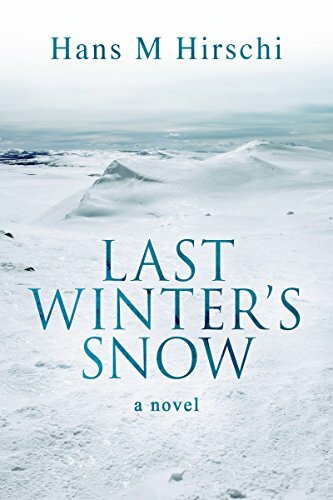 Last Winter’s Snow is the latest release from Swedish author, Hans M Hirschi. 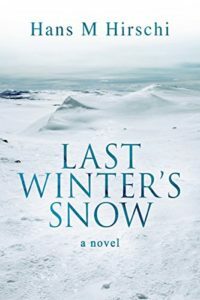 The novel follows the life of Nilas, a young gay man from the Sami people, and his Swedish husband, Casper. The novel takes us from their first meeting in a bar in Stockholm in 1982 until the present day. Following their lives, we experience the issues of bigotry and discrimination that were prevalent in the eighties and nineties, the onset of the AIDS crisis, and significant changes in legislation for LGBT couples in the 21st Century. The novel is a very emotive one. It is clear that Hirschi feels strongly about his subject matter, and although ideas aren’t forced upon the reader, they are certainly encouraged to think about the issues raised. The plight of the Sami people is one such example. While their land is described with beautiful visualization, their issues, particularly in the last two hundred years, are not skirted around. It is impossible to read without wanting to learn more about these indigenous people. In fact, that is exactly what I did upon finishing the novel. Hirschi also uses the novel, and Nilas and Casper’s relationship, to cover the LGBT issues and changes in the thirty-five-year period of the story. So many changes, for the better, have occurred this century, it makes harsh reading to be reminded of how society was in the all-too-recent past. Open homophobia, physical and verbal abuse, and the restrictions in rights all are brought to the fore and laid bare. The way Hirschi covers the fear both inside and outside of the LGBT community with the onset of the AIDS crisis is particularly impressive. The couple’s journey, though, never depresses the reader. It’s one of growth. Their love grows stronger as they meet each challenge together. It blossoms as times improve and acceptance becomes more open. It is often beneficial to be reminded of where society has come from, to be able to appreciate where we are now. The unbridled joy of the couple as new laws come to pass, giving them rights long overdue, is wonderful to read and experience. Hirschi has truly woven a beautiful tale. The wonderful Swedish imagery evoked, from the mountains of the North to the Islands of the West, coupled with Nilas and Casper’s journey, has created a novel that I will read again and again. My favorite book of 2017 thus far.